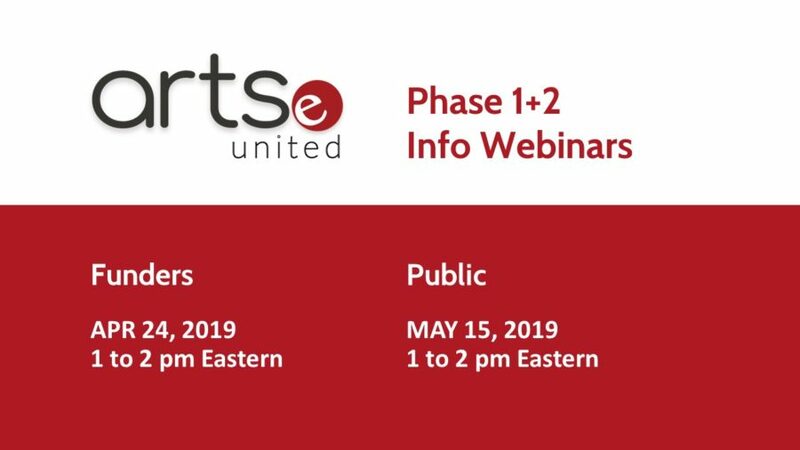 ArtsPond is delighted to announce two upcoming free webinars providing more information on the launch of Phase 1+2 activities for Artse United, an open source, open data arts management platform cooperative for small creators and producers funded by Canada Council for the Arts’ Digital Strategy Fund. Funders may RSVP for an information session on April 24, 2019 from 1 to 2 pm Eastern. Arts workers and the general public may RSVP for an information session on May 15, 2019 from 1 to 2 pm Eastern.